We have compiled a list of some of the Best Stock Photo Websites, along with some free alternatives that can help you get your hands on the most amazing images for your projects. If you need premium stock photos, video footage, audio clips or vector graphics then check out our list of the best premium sources given below, along with a brief overview of plans and pricing for each website. 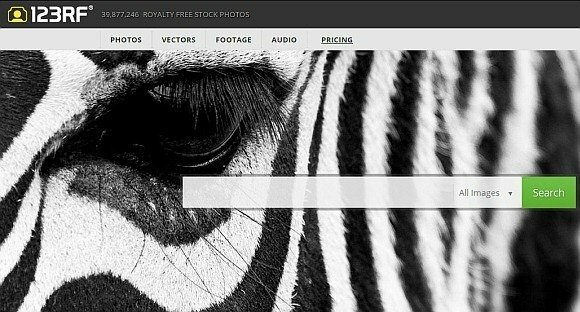 Getty Images is perhaps the most well-known source for royalty free stock photos, vector art and video clips. Getty Images has an infinite stock of high-resolution images for any category imaginable. In fact, many media outlets frequently fetch images from Getty Images, including names like CNN. With 80 million stock images and vectors and over 50,000 hours of video footage available for download, Getty Images is no doubt the best source for stock images and video clips, whether you need them for a PowerPoint presentation, commercial video, online tutorial or banner ad. However, Getty Images isn’t the cheapest source for images and each image is priced according to image resolution and the type of rights associated with the image. Shutterstock is another good website for buying premium images. 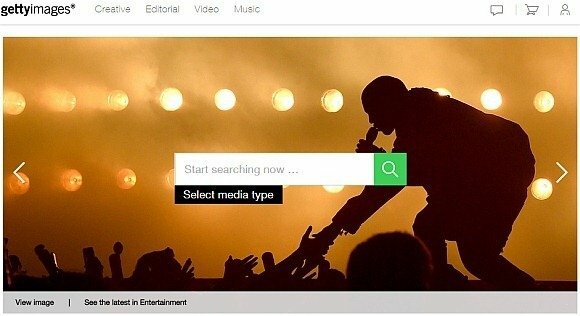 This website offers around 50 million vectors, stock images, videos and music tracks. If you have been browsing through various premium websites, you might have noticed that many of them redirect to Shutterstock. This is because Shutterstock is among the most famous sources for royalty free stock photos across the Internet. Shutterstock has a $199 yearly package, as well as a $224 6 month and a $229 3 months package. 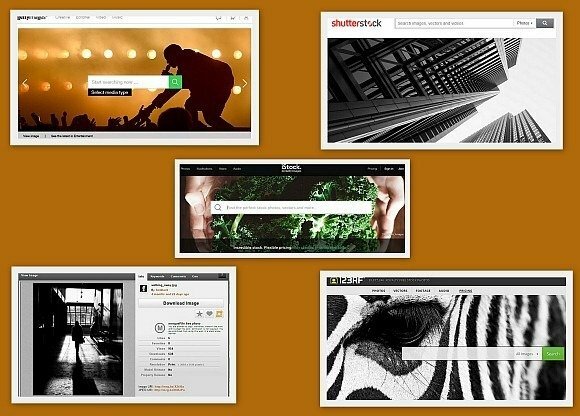 A website by Getty Images, iStock offers the ability to buy images by using credits purchased from the website. 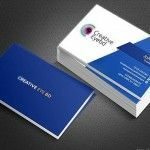 This can be helpful when you need to buy images, video clips or vectors on a budget. You can either buy credit packs ($12 for 1 credit, $33 for 3 credits, $60 for 6 credits, etc) or subscribe for a monthly bundle of $199 (250 images per month) or a yearly package of $159.92 per month (750 images). There is also a signature subscription package for $319.08 per month which provides complete access to premium iStock images (750 images per month). While iStock might not seem all that cheap, however, you can opt for a pay per download approach instead of committing to a yearly or monthly package. This can be particularly useful when you need a specific image or video clip which might be just right for you. Needless to say, the collection at iStock is nothing short in quality and quantity than Shutterstock and as it’s powered by Getty Images, the collection of royalty free content is pretty infinite. 123Rf is another credit based stock photo website where you can buy images by purchasing credits. The plans and pricing policy is a lot cheaper than iStock and you can buy credit bundles at rates as low as 40 credits for $38, 90 credits for $80 and so on. You can also opt for various packages ranging from a monthly package of just $59 (5 images a day) or $159 per month package (780 images per month). If you don’t want to get into the hassle of buying bundles and packages and would simply like to get your hands on some nice images or your projects and presentations, then Photodune can be a good resource. 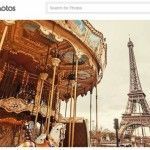 This website offers stock images as low as $1, where you can simply pick and choose images to buy instead of resorting to bundles which might restrict your access to certain types of stock images. You might have to do a bit of digging at Photodune to find something that’s just right for you, however, with the vast variety of stock images you are likely to find something suitable and that too at a fixed rate which can be cheaper than buying bundles and packages which you may never need. 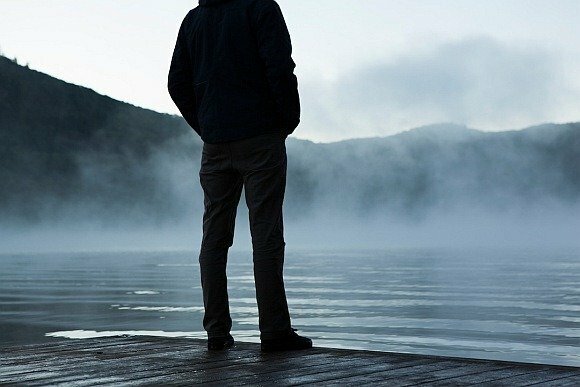 GraphicStock is another good source for buying cheap stock images. While the library is not as extensive as other websites mentioned in this list, however, you can find a good image, vector, backgrounds, icons and textures at a low price. 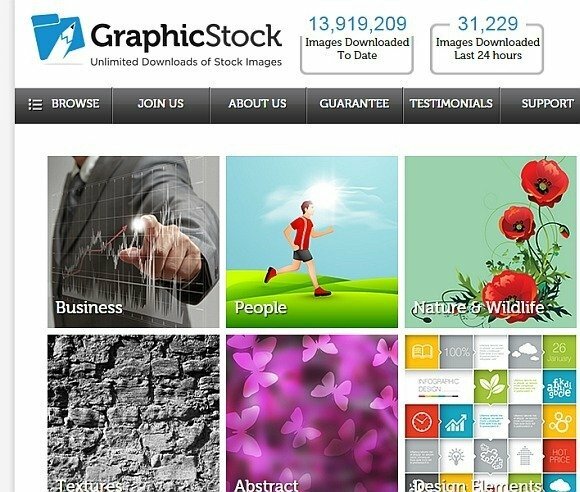 The packages for GraphicStock are pretty straightforward, as you can opt for a $49 monthly or $588 yearly package with unlimited downloads. For those of you looking for websites offering high-resolution images for free, here is a list of websites that can provide you with premium quality images without any charges and in some cases, no obligations for using the images for commercial use. As the name suggests, this is a website from where you can download free stock photos. This is a place where users can share their images and make them available for free. 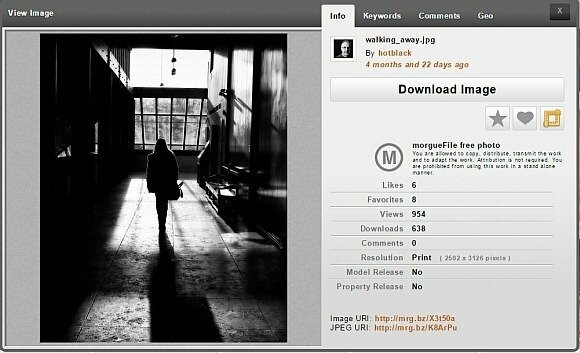 This enables hobbyists and professionals to share their content and makes it possible for people to acquire free images. It is worth mentioning here that in some cases you might have to notify the artist before using his/her images. So do check the license for images before downloading them. 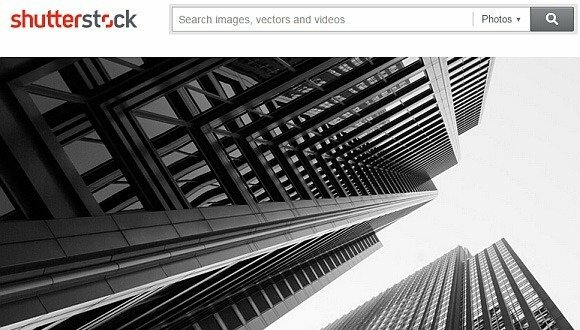 Moreover, don’t be confused if you see some paid images from iStock in your search result. Each time you search you will be provided with a list of premium images on top, followed by free images section below that list. 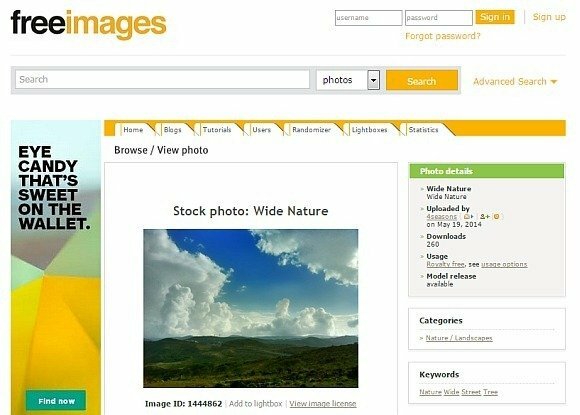 This website too provides free stock photos with different licenses. You might require looking at a specific image license to confirm if you can use it without attribution. Images are however available for free. This is a website from where you can download small images for free. However, you will require attributing credit to the author of the image. The good thing about Free Digital Photos is that you can download an unlimited number of photos. 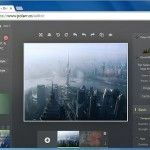 If you need high-resolution images without having to worry about checking the license for them, then Picjumbo is just what you need. While the image library is not all that vast, however, images at Picjumbo are available for free for both personal and commercial use. While Picjumbo is free, you can also opt for a premium package to gain access to more image bundles for as low as just $6/month. 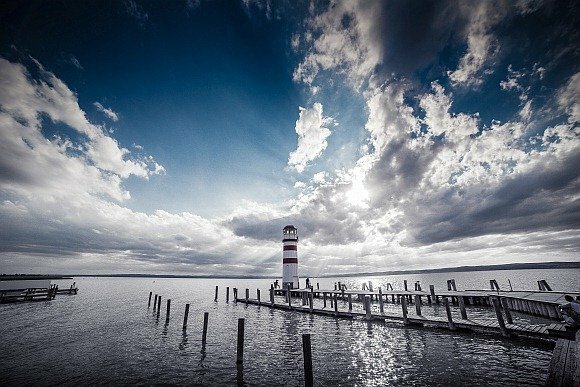 Below is a free image we downloaded from Picjumbo. Unsplash provides high-resolution free stock photos, without the need for any attribution. You can either search images by keywords or sign up with Unsplash to receive free image bundles in your inbox every now and then. Unsplash mainly provides images that are either more nature themed or generic still images that you can use for various settings. In other words, you are unlikely to find something as specific as say, an image about a business professional shaking hands with someone. Below is an image that was downloaded from Unsplash.